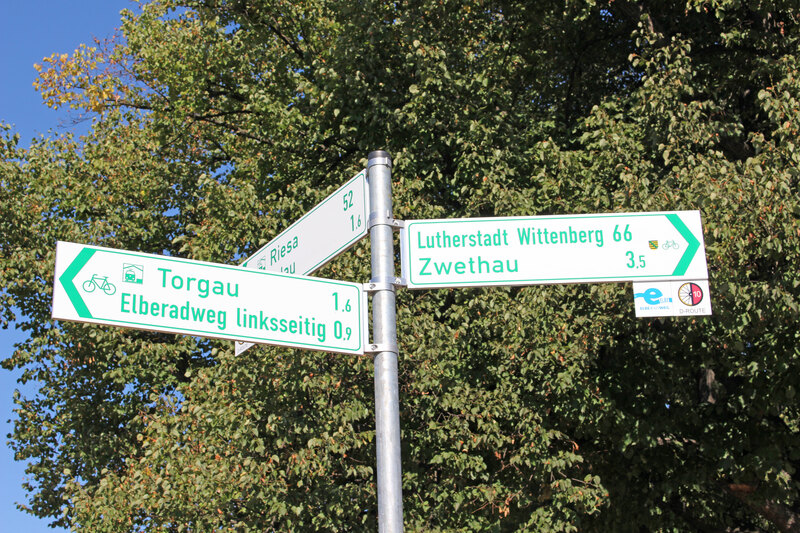 The Elberadweg in Germany is signposted with the Elberadweg logo. The route is also gradually being signposted with the D-Route network logo no. 10. Despite all efforts at unified signage, all signs along the streets and cycle routes are the responsibility of the local regions and communities, so signage depends on local resources. This sometimes leads to signs of differing ages and quality that may differ in frequency and information provided. However, we believe that the Elberadweg is sufficiently signposted in almost all areas so you will always find your way - and if not, we’re working on it. The Elberadweg (Labská stezka) in the Czech Republic is signposted as the National Cycle Route 2 between Dolní Žleb and Vrchlabí, and as Cycle Route 2A between Litomerice, Theresienstadt and Roudnice nad Labem. It also sometimes features the Elberadweg logo. Parts are also identical with the EuroVelo Route 4 or 7. You can find out more about the EuroVelo network, coordinated by Nadace Partnerství in the Czech Republic, here: www.eurovelo.com or here: www.eurovelo.cz. Unified signage is the responsibility of the individual regions and communities in collaboration with the Czech Tourist Club. If a sign has been covered by plants, blown over by the wind or is missing completely, please let us know so we can pass the information onto the local authority. Please try to describe the location of the affected sign as precisely as possible.